...... Ship Wreck, and a Sunken Volcano! Find a way to bring the legendary continent of Atlantis back to the surface. 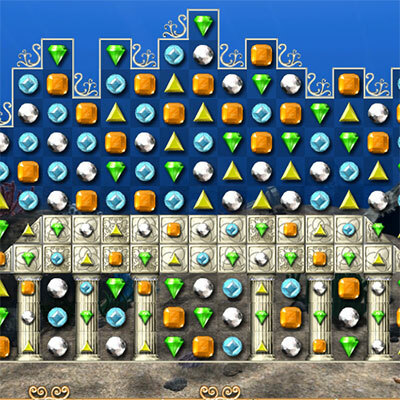 The newest sequel of stone-puzzle game. Get ready to enter a magical jewel kingdom. Qweas is providing links to Jewel of Atlantis 1.03 as a courtesy, and makes no representations regarding Jewel of Atlantis or any other applications or any information related thereto. Any questions, complaints or claims regarding this application Jewel of Atlantis 1.03 must be directed to the appropriate software vendor. You may click the publisher link of Jewel of Atlantis on the top of this page to get more details about the vendor.